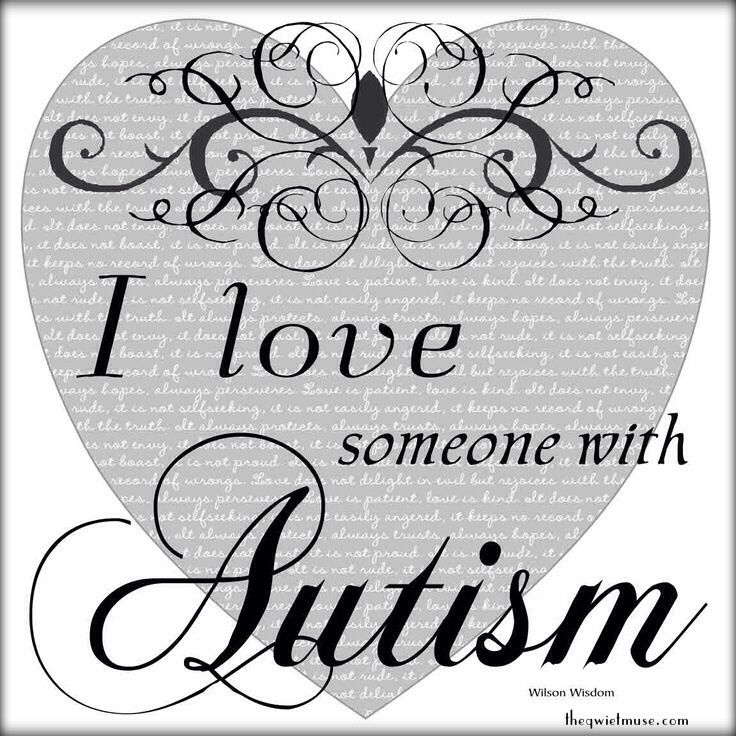 I have two children, now adults, on the autistic spectrum. They are amazing and wonderful, smart and sweet, but they are different and that’s okay with me, it’s okay with them. Most of the time, the outside world doesn’t get to us, but now and then, it does. I’ve encountered many different types of people on our journey through life with autism, some are supportive and accepting, some are cruel, intentional or not, and then there are those seemingly well-meaning people who unintentionally fall somewhere in between. Those are the ones who can sometimes hurt us the most. They can be loving friends, family or complete strangers, it doesn’t matter who they are, what does matter is what they say. Please do not tell me you understand. You do not. There is no way you could. Please do not tell me your typical child does the same things, trust me, there is no comparison. Please do not tell me it is just a boy thing. Please do not tell me it is a phase or they will grow out of it. It is not and they will not. Please do not tell me I need to discipline more. Discipline does not cure autism. Please do not look at me or my children with pity. We do not need it nor do we want it. Please do not ask me if I wish they were different. I don’t. Please do not give me advice unless you walk the same walk we do. Please do not tell me what worked for your child unless your child happens to be autistic. Please do not tell me they do not look autistic. That is ridiculous. Please do not tell me they do not act autistic. No two autistics truly act the same. Please do not say things like, “If that was my kid, I would . . .”. Please do not accuse me of letting them get away with things. I certainly do not. Please do not ask me what I did or did not do during my pregnancy. That has nothing to do with it. There are more, but I think you get the point. I hope so. I spend every minute of my life trying to teach my children coping skills, daily living, and social skills. 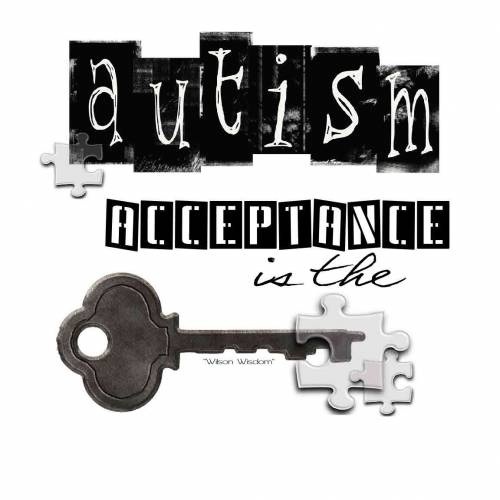 The fact that they do not always ‘act’ autistic is because of the amazing strength and determination they have, and to be honest, because of mine as well. So sometimes you will see them like they are any other young person their age, and other times you will see them in all their autistic glory. I discipline my children, maybe not the same way you do, but I do. Everything is a teaching moment, there is a difference between discipline and punishment. You do not punish a toddler when he falls as he is learning to take his first steps, you help by teaching them how to pick themselves up and try again. When someone asks if I would change them if I could, it infuriates me. 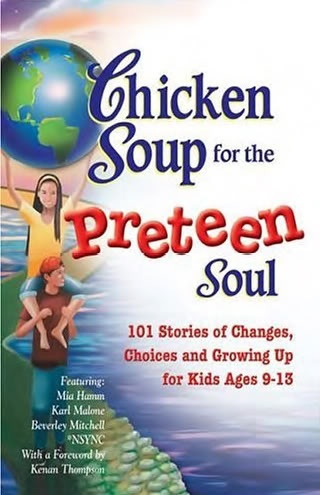 Would you change your child? The fact is, personally, I wouldn’t and the fact is, I can’t, so why ask such a silly question? God, in his infinite wisdom, gave me these amazing children as they are, I accept and love and cherish them without question. The first time this was asked of me it broke my heart. From the moment I laid eyes on them, the moment I realized they were different and every moment since, the thought has never crossed my mind that I would want them any other way. What you say and how you say leaves a mark, an impact on the very heart and soul of me, of every parent with special needs children. I know it is impossible to put yourself in our shoes, to imagine what life is like, but if you could just stop and think about how you would feel if someone gave you a backhanded compliment, belittled you and judged you for something they do not truly understand, you might choose your words with a bit more care. He is changing the world every day. He found the call for submissions on a website and sent his thoughts in. His quote was chosen for inclusion and he received an autographed copy of the book and a check for twenty dollars, he was on top of the world, published and rich at 9 years old. So, on page 26, right below Justin Timberlake and a little girl named Scarlett, you will find these words describing how my son would change the world for the better . . .
“Help people realize that people like me who learn differently and do things differently than them are still really the same underneath it all. We want to be liked and smiled at. This was the same year he received his official diagnosis of Autism. I hope his wish for a better world comes true. 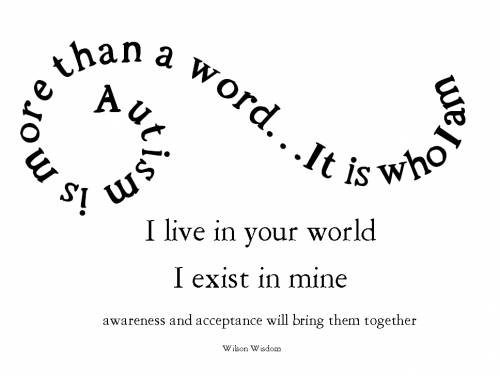 Wilson Wisdom – Autism, spoken VS written word, & anxiety. When Autistics speak, we need to listen . . . Being autistic, it is sometimes hard for me to put my feelings into words using my voice, but with the written word I can say things much easier since I can see what I say and correct anything that I misspoke before anyone else can see it. Sometimes things that are bothering me I won’t talk about because I can’t put it into spoken words, if I try to, my point either comes off as not as I intended or it is misinterpreted because of the words I used. To put it in a way easier to understand, when I speak it’s like a game of Scrabble, but instead of letter tiles I have word tiles, if some of the words I need are not available and I have to use similar words to get my point across it can lead to confusion. When I write I have access to all the tiles at once and it’s simple for my thoughts to come out, I still make mistakes, but not as much. If I feel anxious I tend to deal with it on my own and tell no one since it is even harder to say what I need and I only bring it up when it is either resolved or when I really can’t do it on my own and I need someone else to help me. When it comes to autism, the people around those with autism need to be vigilant about the mental state of the autistic person. With me, I can handle most things on my own and have an understanding of how my anxiety works (Some forms of my own anxiety require me to let it run its course when none of the other methods I have learned to use work or make it worse) but others may not have this understanding and cannot get through without help, mine comes from years of having to deal with it and with the help of my Mom (Crystal Cook) teaching me methods and helping me through them. Some younger autistics have not yet learned to put such information to use so it is up to those around them to notice these moments of anxiety and help them through it, if you’re close to someone with autism I am sure you know the signs, I would list some, but not everyones signals are the same. For me personally it is just an anxious feeling or the feeling of dread or just full on confusion, each one has its own type of “Cure” and sometimes I just have to wait it out. If a person hasn’t figured them out on their own it is up to you to teach them to identify and conquer them. For the past week I have had an anxious feeling that have been growing little by little each day. I believe it is cause by a mixture of changes happening around me and some just regular random anxiety that comes with the disorder I have. I have done every one of my usual “Cures” (Including talking to my Mom) and none of them have worked, that leaves letting it continue running its course and try again later if it continues to long. Remember what I have said about keeping an eye on an Autistics anxiety tells, if you don’t help them discover them and learn how to conquer them they might never learn on their own. * Update – The page owner responded kindly, offering to remove or give him credit. I want his words, his message out there . . . I just don’t want someone claiming them as their own. Her response left me feeling a bit better about people, I suppose part of me was expecting the resistance or rudeness I have encountered trying to remove his work from other sites, one even selling his design as their own. She was very much the opposite and I am thankful for it . . .
My sweet friend, Kathie, sent me a link this afternoon referencing an image someone claimed to have created, a very familiar image to most anyone who knows us. It was among the first creations of what was to become Wilson Wisdom. I realized this kid of mine had much to share with the world, a message of acceptance and understanding for the autistic community, so I started transcribing his words, sharing them wherever I could. We eventually began putting some of his insights and wisdoms on CafePress in hopes of spreading his message. It worked. 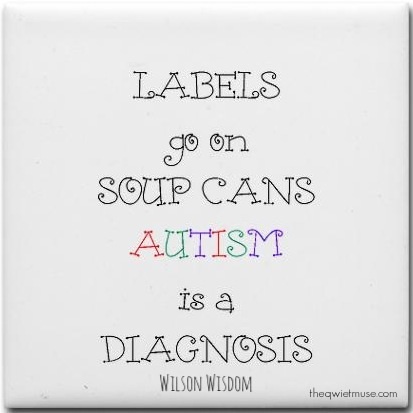 Labels Are For Soup Cans, Autism Is A Diagnosis, can be found in many places around the web, unfortunately, unless you type it into a search engine you wouldn’t know who said it. You can enter Wilson Wisdom or the Qwiet Muse with the word autism and you’ll find it though. Hindsight is 20/20, cliché, but factual. 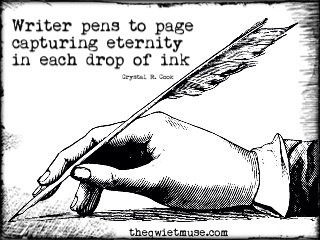 We didn’t put his name, or Wilson Wisdom on some of those first little tidbits we shared with the world. Now, sadly, I have seen several used on websites, even some used for profit, without giving my son the credit he so very much deserves. People who claim ownership for something clearly not their own should be ashamed . . . It’s sad, but an unfortunate reality. At least we know his words are out there, hopefully touching and changing hearts and lives. I shared the following in a previous blog post, I feel compelled to share his analogy once again. I have yet to find a downside to what so many refer to as a label. It is, in fact, a diagnosis, something many tend to overlook. My oldest son will soon be twenty-five years old, he is most likely the wisest person I will ever be blessed to have known in this life. He lives his life on the autistic spectrum; he has a thing or two to say about labels . . .
“Labels are for soup cans, diagnoses are for people, but they both serve the same purpose. They tell you what is inside and how to properly prepare it. If you have five cans on a shelf and one does not have a label, you are going to use the four cans that are labeled first because you know what they are. You know if they will need certain ingredients or special preparation. Sometimes the can missing its label never gets used. You put new cans in front of it and it remains there. When you do finally look inside to see what it is, you’ll see that it was something you really wanted, but it’s too late to use it. It will never be what it was supposed to be. When my son wrote this I was in awe at his insight, he was eighteen at the time. I know if I’d been afraid of that proverbial label, he would not have become the amazing young man he is. I was told he would never talk, never learn. 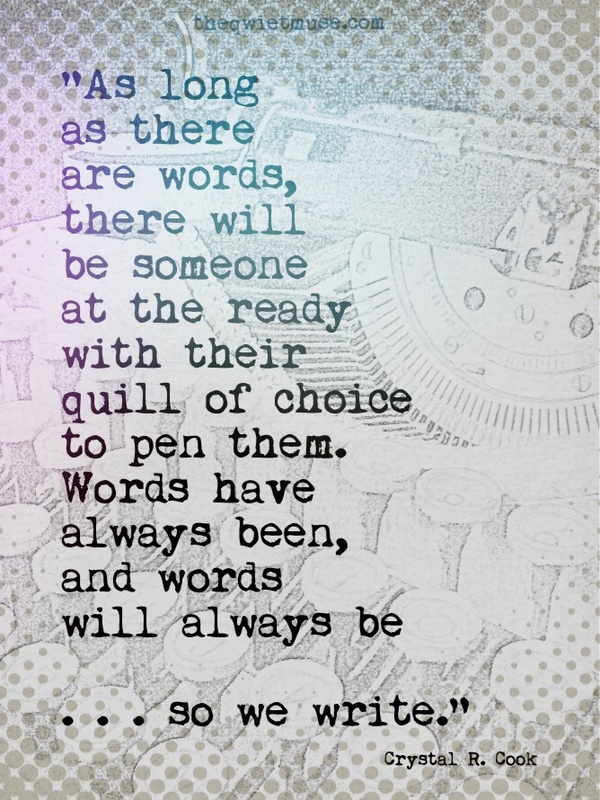 I listen to him speak and I read the words he writes and I know I did the right thing for him. The one little word, autistic, on a simple piece of paper changed the course of his life for the better. Two of my children require very specific labels if they are to get the services they need and deserve, both have been blessed with the gift of a proper diagnosis. One of my children faces many, many challenges. Before I had names for those challenges he was considered a problem child. He was thought to be rude, lazy and was accused of ignoring his teachers. They told me he didn’t want to learn. The truth was, he did want to learn, they just didn’t know how to teach him. Children do not receive the occupational therapy, speech therapy and specialized education they may need simply because we ask for it. Even if all involved agree, services are still withheld for lack of a professional diagnosis. Call it a label; call it a diagnosis, in the end all that matters is your child. You want the best for them; you want their futures to be bright and filled with possibilities. Many children never reach their full potential because society was too afraid to label them.